Relax and unwind in this luxurious Bordeaux 59 in. freestanding soaking bathtub. 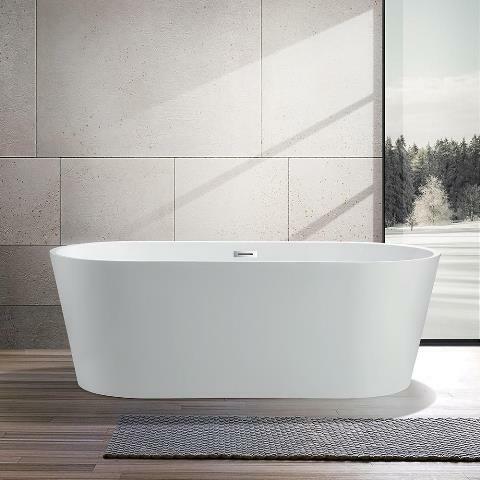 The white finish complete the contemporary design of this soaking tub that would make a great addition to any bathroom. It is UPC certified and includes a chrome overflow, chrome pop-up drain, leveling legs and a flexible drain hose.